Jeanette is a member of the inclusive education team at UNE and a registered psychologist with professional experience working in schools. 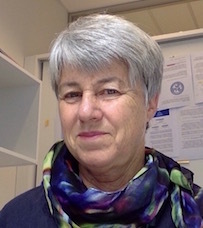 Her professional and research interests are broad, involving child and adolescent development, sustainable learning, psychoeducational assessment, responsive classroom teaching, learning intervention for students with learning difficulties or disabilities, professional practice in school and educational psychology, and Indigenous educational psychology. What factors are important in high school counsellors’ engagement with Muslim students and their families? Students have their say: What can New Zealand secondary school students tell us about their emotional experiences in the classroom? Toward an understanding of children’s empathy and prosocial behaviours in response to real-world issues: An Australian case study in an upper primary Korean Saturday language class. Opening the doors of possibility for gifted children with learning difficulties: Initial identification procedures for primary school teachers. Berman, J. & Graham, L. (in press). Learning intervention: Educational casework and responsive teaching for sustainable learning in inclusive schools, London: Routledge. Berman, J. & MacArthur, J. (Eds) (in press). Student perspectives on school: Informing inclusive practice. Rotterdam: Sense Publishers. Park, D., Berman, J., & Jackson, J. (in press). Beyond OK: Pictures of Korean international student wellbeing. In Berman, J & MacArthur, J. (Eds). Student perspectives on school: Informing inclusive practice. Rotterdam: Sense Publishers. Graham, L. & Berman, J. (in press). Literacy snapshots: Using photovoice in literacy intervention. Chapter 12 in Berman, J & MacArthur, J. (Eds). Student perspectives on school: Informing inclusive practice, Rotterdam: Sense Publishers. Berman, J., MacArthur, J., & Carroll-Lind, J. (in press). Children’s rights and perspectives in education. Chapter 1 in Berman, J. & MacArthur, J. (Eds.). Student perspectives on learning and teaching: Informing inclusive practice, Rotterdam: Sense Publishers. Brien, J., Page, J., & Berman, J. (2017). Supporting families and young children to exercise choice and control in the context of the National Disability Insurance Scheme. Australasian Journal of Early Childhood, 42(2), 37-44. Berman, J., Edwards, T., Gavala, J., Robson, C., & Ansell, J. (2015). He mauri, he Māori: Te iho, te moemoea, te timatanga ō mātou haerenga ki Te Ao Tūroa: Our vision and beginnings of a journey into Te Ao Tūroa (the world in front of us) in Psychology Aotearoa, 7 (2), 100-109. Abraham, Q., Priestley, A., Lemmon, K., & Berman, J. (2015). What type of professional community would we like to create for newly trained educational psychologists? Psychology Aotearoa, 7 (1), 16-23. Berman, J. (2013) Utility of a conceptual framework within doctoral study: A researcher’s reflections. Issues in Educational Research 23 (1), 1-18. Berman, J. & Graham, L. (2013). Responsive teaching for students experiencing learning disabilities. InPsych, December: 17-19. Graham, L. & Berman, J. (2012). Self-regulation and learning disabilities. Special Education Perspectives, 21 (2), 41-52.